Play the game we love 365 days a year. Don’t let the climate dictate when you play. Even when it’s too hot for comfort outside, you can play inside at a golf lounge. Players often say farewell to their golfing connections in late October and then not see them until late April. Indoor golf keeps your golf social life continuous. Taking six months off the game is sub-optimal for good golf. Practice, play and even compete indoors. The competitive club season starts very quickly in May when you’ve hardly swung a club! 4.The technology is really good these days! Indoor golf technology has come a long way. This golf simulator experience in Toronto is a good example of how realistic the technology can be. The technology allows for productive training and on-course play simulation. The latest technology can make use of high-speed cameras or be radar-based. Both excellent and leading edge. 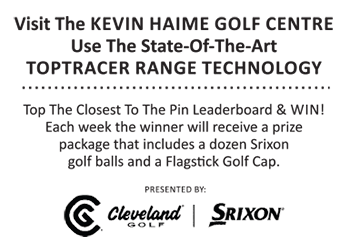 You can even use Trackman, as used by 80% of PGA professionals. It now has a state-of-the-art simulator with stunning graphics and unique features. Play some of the world’s most famous courses. You might even find your vacation courses in the simulator library. Indoor golf is a great way to prepare for your golfing vacations in the sun! Be ready for when you hit the first tee. Gather your golf vacation crew for some pre-vacation golf and chat. It’s a great way to work out details for your upcoming trip. Most indoor simulated golf venues have golf teaching professionals on staff. Take a lesson or instruction program in a climate-controlled environment. Use the advanced analytics available at some venues (e.g. Trackman). You can even store your golf performance via wi-fi on your smartphone! Indoor golf venues are a great place to take your first swings and learn the basics of golf technique and etiquette. You can even take a playing lesson indoors! Take lessons without wind, rain, and the distractions of other golfers around you. Make mistakes in a more discreet and less intimidating environment. Your ball won’t end up on another fairway. Indoor golf venues are the hub for local golfers. With fewer of them than golf courses your chances of meeting new friends are greater. Indoor golf venues are meeting places for golfers of various clubs and backgrounds in the surrounding community and further afield. Many corporate events take place in late Spring and Early Summer when many participants may not have swung a club for up to a year! Be ready to feel confident and make your best impression. Enjoy indoor golf in April and May to feel confident on that first tee and throughout your round. A game of corporate golf should be enjoyed! Some indoor golf venues combine the very best indoor golfing experience with a sports bar or lounge atmosphere serving great food and drink. It’s a place all level of golfers (or non-golfers) can enjoy themselves. It’s a great way to spend a few hours doing something enjoyable instead of just sitting to eat and drink. Be active, have a few laughs, and leave with a smile.